My Husband being a French Native loves this dish, this is an easy recipe for it, but I am sure you can do a search and fine a million variations for the dish. I have a few different ones myself! Spread the eggplant mixture on the bottom of the casserole dish and sprinkle with some parmesan cheeses. Spread the zucchini in an even layer on top salt and add a bit of cheese. 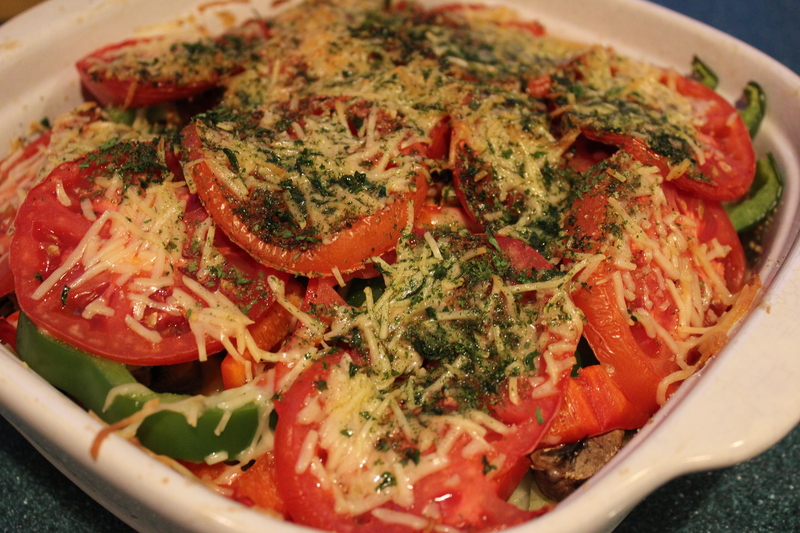 Keep layering in this fashion adding salt and cheese between each layer with the onion, mushroom, peppers and tomatoes.